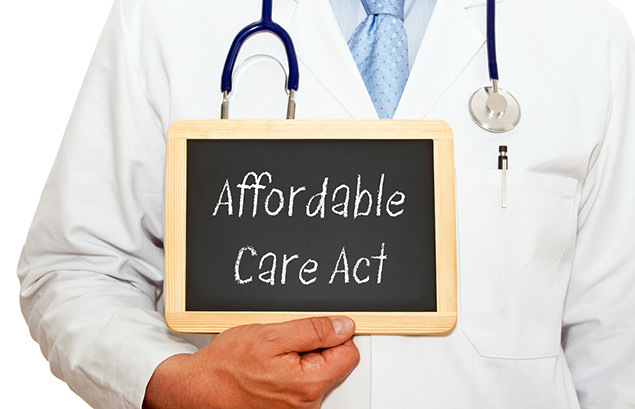 While the new Affordable Care Act (ACA) reporting requirements presented quite a few challenges for employers and accountants this tax season, the good news is this: The first year of compliance is nearly over, and we’ve learned a lot along the way. With one year of ACA reporting under our belts, we can now build on what we learned and make the process that much easier for next tax season. As you know, the new regulations require employers to report healthcare coverage information to employees and the IRS using forms 1095-B and 1095-C. The deadline for issuing statements to covered individuals was March 31, and the deadline for filing electronically with the IRS is fast approaching – June 30. Affected businesses needed to gather specific employee details and healthcare information from a variety of sources to complete the new 1095 forms. It was no doubt time- and labor-intensive to pull off! Determine if the business is an applicable large employer (ALE). For the most part, the biggest impact with the new ACA reporting requirements is with applicable large employers with 50 or more full-time or full-time equivalent employees. Both sets of employees must be considered for a complete head count. Full-time employees are those who work 30 or more hours per week (or 130 hours per month), whereas full-time equivalents are calculated by adding up the number of hours worked by part-time employees in a month, and dividing that total by 120. Remember, too, that an ALE may be a single entity or consist of a group of related entities (such as parent and subsidiary, or other affiliated entities). If the combined number of full-time and full-time equivalent employees for the group is large enough to meet the definition of an ALE, then each employer in the group (called an ALE member) is part of an ALE – and subject to the Employer Shared Responsibility provision, even if it wouldn't be an ALE separately. Continuously track every employee’s hours of service. Capturing every employee’s hours requires constant (and accurate!) recordkeeping. Most businesses will want to explore time and attendance-tracking software to do this. Keep in mind, too, that “hours of service” include the hours available to an employee (such as vacation, sick time, disability and other leaves of absence), as well as the actual hours worked on the job. Monitor employee eligibility for offer of health coverage. Tracking employee hours becomes especially important for determining when a part-time or variable-hour employee becomes full time, either through the monthly measurement method or look-back measurement method. Once employees reach full-time status, they’re eligible for healthcare and must be offered coverage. Track the cost of coverage offered, and the affordability of the coverage. The IRS uses this information to assess any penalties under the Employer Shared Responsibility provision. An employer may be at risk if they didn’t offer “minimum essential coverage” to 95 percent of its full-time employees (and their dependents) – or offered coverage that wasn’t “affordable” or didn’t provide at least “minimum value”, and at least one full-time employee received a premium tax credit to purchase coverage on a Health Insurance Marketplace. Create a system – ideally automated – for collecting the necessary data across various departments and sources. Gathering relevant data for annual ACA reporting will most likely involve payroll, HR and benefits departments. Because of the sheer volume of data, it’s not realistic to manage ACA reporting by hand or even detailed spreadsheets. Businesses will want to explore an internal platform that integrates timekeeping, employee recordkeeping and benefits administration – as well as a reliable, cloud-based service like efile4Biz to complete the actual 1095 filings.